TNP is committed to complying with industry best standards and strives to ensure we gain and maintain key accreditations. TNP hold ISO9001 accreditation by the British Standards Institute. We have established quality procedures to cover all areas of TNP’s business activities which are audited annually. In addition we undertake a programme of continuous improvement constantly refining our processes and ensuring they remain fit for purpose. TNP also hold ISO27001 accreditation by the British Standards Institute, which is widely regarded as the worldwide industry standard for data security. ISO 27001 comprises ten detailed business controls, including information security policy, security organisation, asset classification controls, personnel security, physical security, communication management, access controls, system deployment, continuity planning, and compliance. TNP have had their IT defences assessed against cyber-attack, resulting in the award of the Cyber Essentials certification. Cyber Essentials is a UK Government-developed programme against which organisations can be assessed and certified. It identifies the security controls that an organisation must have in place within their IT systems in order to have confidence that they are addressing cyber security effectively and mitigating the risk from Internet-based threats. 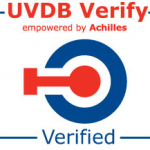 We hold UVDB Verify Category B1 from Achilles. This is a recognised standard used to evaluate suppliers in the UK Utilities Sector and involves auditing our Health & Safety and Environmental processes. All our Project Managers are PRINCE2 qualified and our Programme Managers are MSP qualified, ensuring projects are managed to industry standards and interoperate with your existing methodologies. TNP is ITILv3-conformant which is the accepted standard for IT Service Management. The relevant teams within the company that are responsible for service delivery have received ITILv3 training which ensures consistency of delivery and adherence to best practice methodologies. The health and safety of TNP employees, contractors and clients are of fundamental importance to TNP and are essential to ensure the safe operation of our activities. As such, we have a robust Health & Safety Policy and associated procedures which are regularly audited and reviewed to reflect legislative requirements. We have a nominated Health & Safety Officer and company Health & Safety Committee who keep abreast of legislative changes that may affect our business activities. In addition to theis, we are members of the Institute of Occupational Safety and Health (IOSH) and receive regular updates from the Health and Safety Executive (HSE). Relevant legislative changes are incorporated into our documented procedures and communicated to employees. In addition to industry accreditations, TNP continually reviews and adapts its procedures, processes and operational methods through a process of Continuous Service Improvement (CSI) to ensure the highest quality outcomes for our customers. We recognise that the activities of TNP mean that we impact on the environment, both locally and globally. We have a responsibility to manage our activities in a way that reduces negative environmental impacts and increases positive impacts. TNP maintain a comprehensive environmental policy.